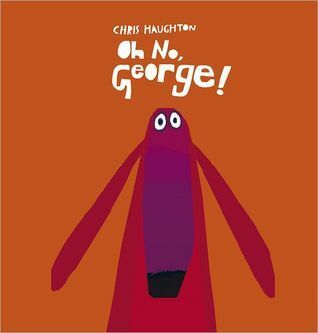 Oh, this book. I have hesitated to write about it, because it is one that I feel is best simply read and adored unto itself. 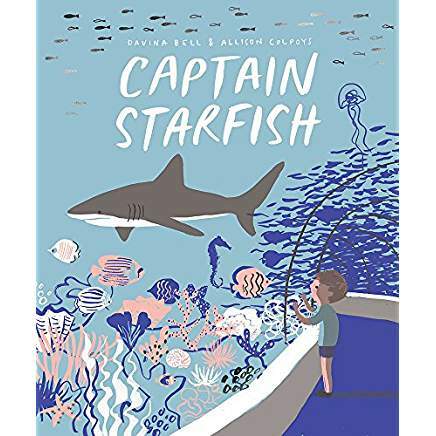 Any review or re-cap just can’t do it justice, taking up more words than are included in the tight story and missing Jessica Love’s stunning watercolor, gouache, and ink illustrations. 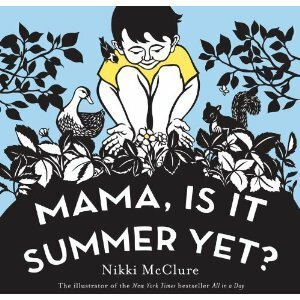 All the same, for the sake of making sure it’s given attention here, I will share a bit about this impeccable picture book. 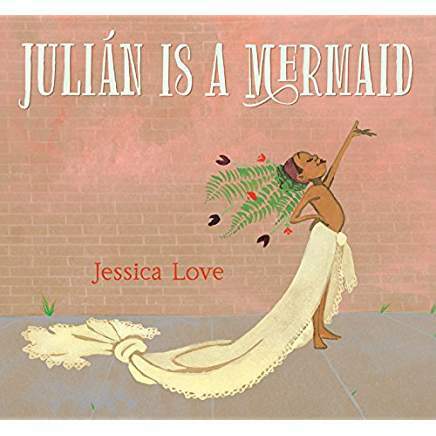 In Julián is a Mermaid (Candlewick, 2018), a young boy and his abuela are leaving the pool after their weekly swim together when they encounter three mermaids on the subway. In dreamy illustrations that span three full spreads where the color palette has much to say, too, Julián is mesmerized by the mermaids and imagines himself transforming into one. His fantasy culminates with a beautiful large fish gifting him a necklace. Like any preschooler, Julián is full of ideas. And he also full of emergent energy, as brought to life in two more spreads where we see Julián make use of Abuela’s fern, flowers, lipstick, and curtains to bring his dreams of becoming a mermaid into a reality. Julián is proud of his work. It is truly beautiful, after all. But when Abuela emerges from the bath wrapped in a towel, we join Julián is worrying about her reaction. “Uh-oh.” The only words needed to convey Julián’s fretting and our adult-concerns: fretting Abuela won’t respond kindly to her grandson’s play with gender identity. 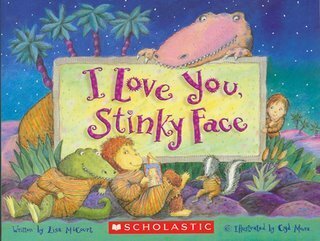 The tension continues over one more spread, as Julián drops his head and looks back in the mirror to study himself, and Abuela returns with her arms behind her back. 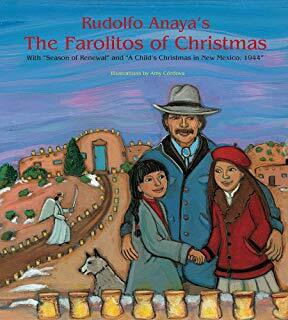 Abuela, though, is dressed in a beautiful blue dress, the pattern of which matches the fish from Julián’s fantasy. As in his fantasy, Abuela finishes off Julián’s transformation: by surprising him with a long string of pearls. “‘For me, Abuela? '” asks Julián. 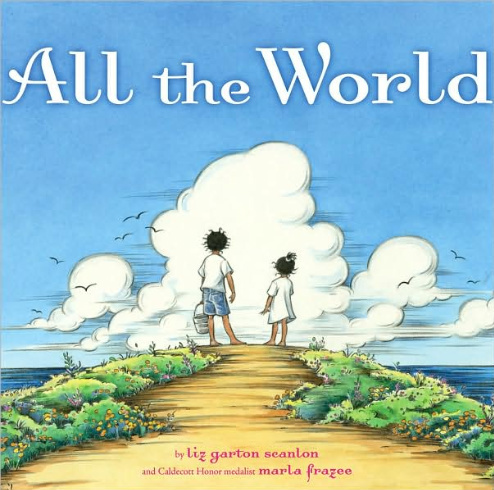 Abulea takes young Julián on an adventure, then … to a carnival, where Julián triumphantly takes his place in a parade behind the mermaids he had seen on the subway earlier, with his accepting and proud Abuela – instilling confidence and love – right behind him. 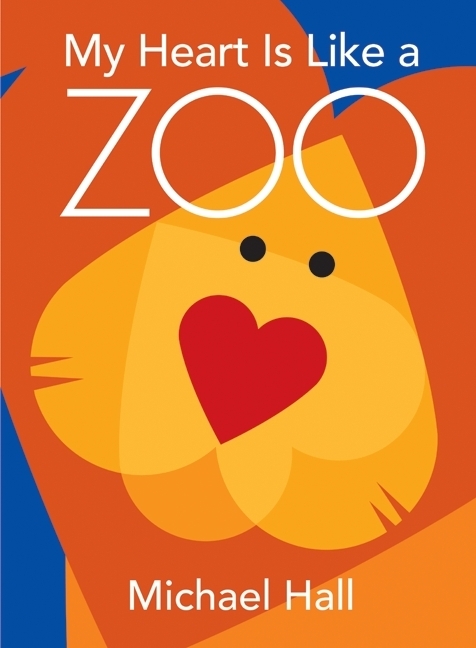 So endearing that if you’re like me, you just may cry reading this one to your child and so might appreciate that so few words are needed to carry this story to its most satisfying end. 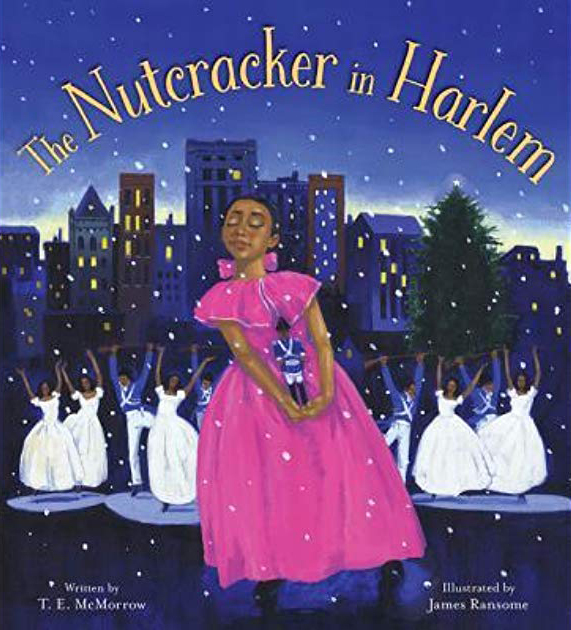 Set in Harlem’s Sugar Hill in the 1920s, this re-telling of Tchaikovsky’s The Nutcracker is lovely. Fictional characters are named after influential musicians of the Harlem Renaissance Adelaide Hall, Duke Ellington, and Cab Calloway — each of whom influence the main character, Marie, as she looks up to them as her role models. To me, the term “heart-comforting” doesn’t always mean sappy and sweet and happy. 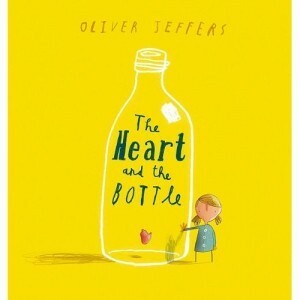 Our hearts need sad stories, also, for comfort. 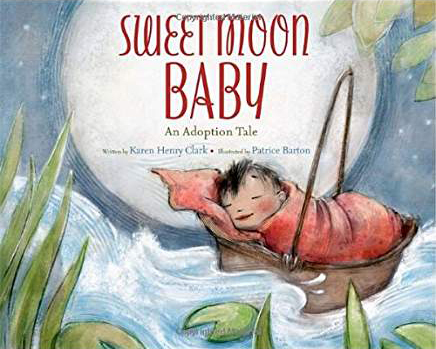 Stories that move our children to quietly reflect, grieve, and sometimes even cry. 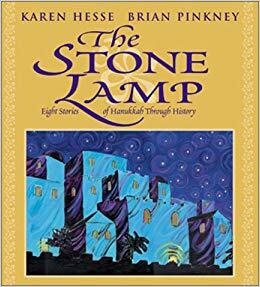 The Stone Lamp is that kind of book, as historical Jewish moments of hardship are poetically told through the perspectives of eight different children. 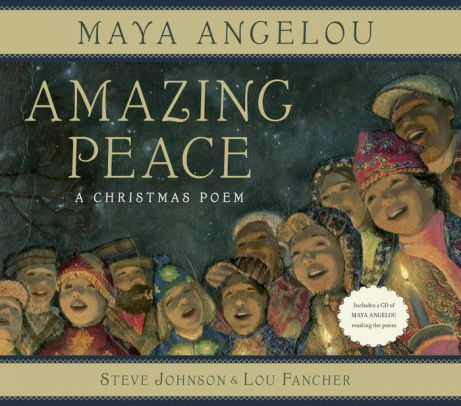 This is a re-telling of the birth of Jesus with sparse text and realistic illustrations. 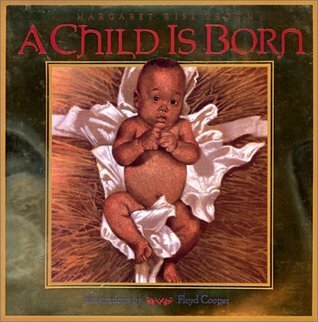 Jesus, his parents, and the angels are depicted as black, so the imagery offers a fresh, needed perspective on this beloved Christmas story. My only frustration with this one is the factual error of Jesus being born in a barn (a common misconception that the adult book, Jesus Through Middle Eastern Eyes by Kenneth E. Bailey, straightens out). 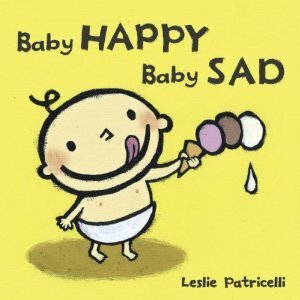 Sadly A Child is Born is now out of print, but can still be found at an awesome library or used bookstore near you. 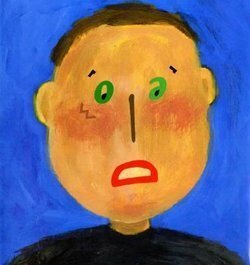 “My father collects tears,” begins Newbery Medalist Linda Sue Park, telling this Christmas story through the eyes of a young boy who joins his father at work collecting sap from knotty trees that seem as if they are crying. The “tears” are sold to the spice merchant, who uses them for medicine, wine, and funerals. (In modern-day terms, we’d probably say essential oils.) 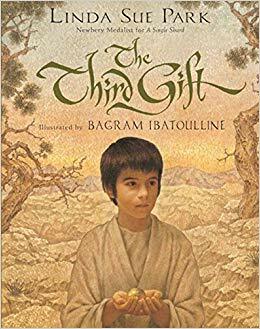 The young boy is honored by the chance to help his father in his trade, then proud to learn that the tear he harvested will transform into the gift of myrrh for a very special baby. 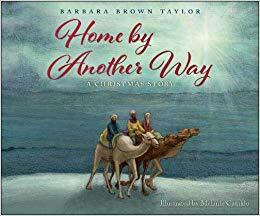 Stunningly illustrated, this book offers a unique take on the Christmas story by telling it from the perspective of the three wise men — who don’t know each other at first, but end up meeting on the road to Jerusalem after they all pursue the bright star lodged in their right eyes. 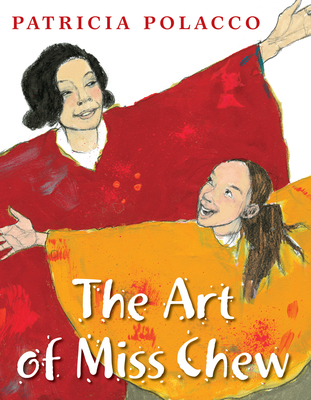 I love that this book offers a diverse perspective and also portrays Mary as playful. 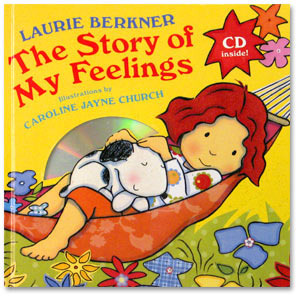 Year after year, this book remains one of my daughters’ very favorites. 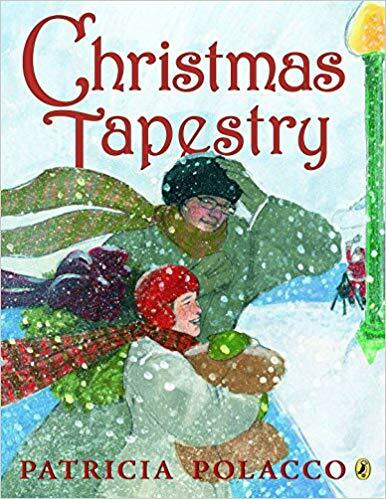 It’s a re-told story about a tapestry that ultimately ends up reuniting a Jewish couple who had been separated from each other during the Holocaust, each believing the other dead. When they both separately find themselves in a church, they discover their wedding tapestry. 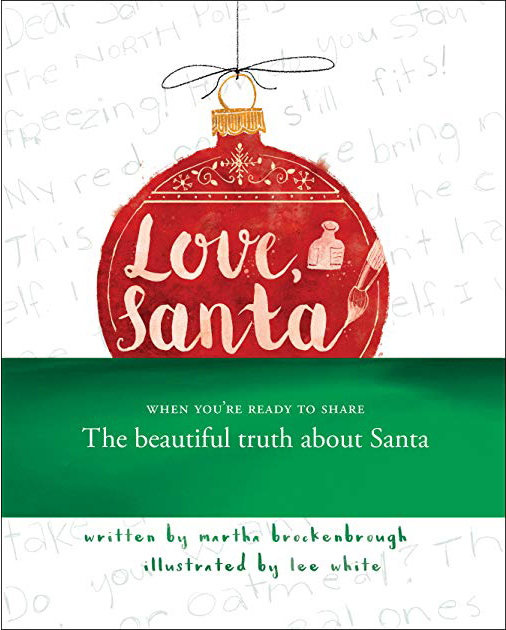 The pastor and his son realize their connection and on Christmas Eve, help bring the couple back together. 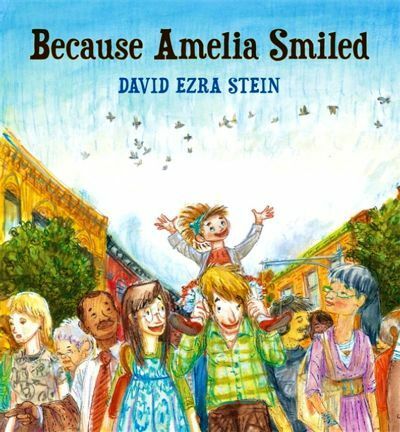 It’s a lovely, non-preachy honoring of Jewish and Christian perspectives, as viewed through the relationship of a soft-hearted boy and his caring father. 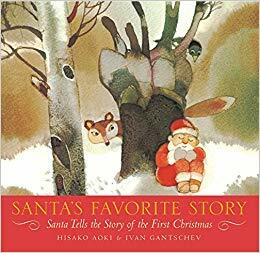 Our preschool teacher first told us about this book, a lovely story that helps make sense of both the Santa and Jesus narratives. Gantschev’s watercolor illustrations are beautiful. 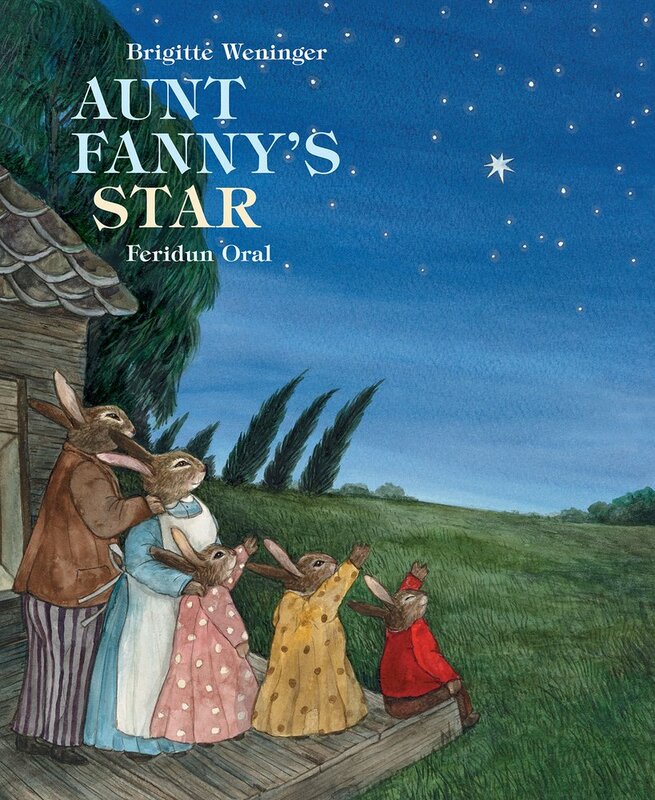 In the midst of grieving a death in our family, I was touched to have discovered the picture book Aunt Fanny’s Star (Minedition, 2017), written by Austrian writer Brigitte Weninger and illustrated by Turkey’s prominent Feridun Oral. While there is no hiding the ultimate futility of death from the children, play still abounds. “Aunt Fanny always had time to play, and she had more silliness in her head than the three little bunnies put together.” She braids daisy crowns for the young bunnies, sculpts their carrots into crocodiles and radishes into pigs, passes along cherished family recipes, and sleds down the snow-capped hillsides with the children. It’s a beautiful portrait of the power of play in the face of separation and alarm. 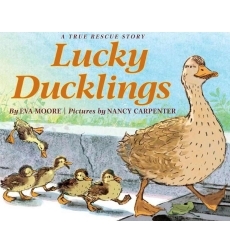 Aunt Fanny also lovingly helps find ways for the children to hold on to her once she dies. A star-gazer, Aunt Fanny shows the kids how one day she’ll fly away to twinkle in the sky with the other stars. And she introduces the young bunnies to her treasure box, sharing stories from her childhood and trinkets for them to remember her by. After Aunt Fanny dies, family and friends sing and weep together at her funeral. Because of the opportunity to “kiss the corpse,” so to speak, and to find their tears, the children adapt and ultimately find rest in knowing they can see Aunt Fanny in the stars twinkling back at them. 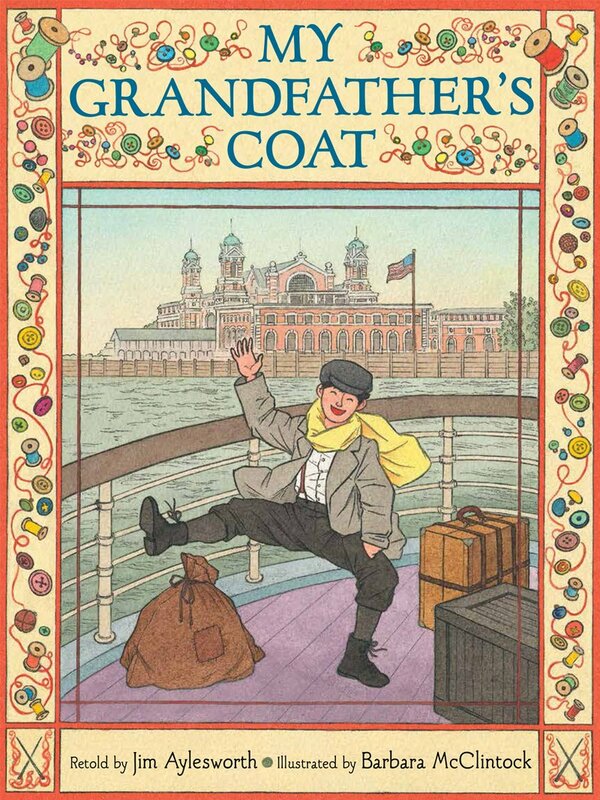 A Jewish folktale about love and adaptation, lovingly telling various family portraits through an immigrant’s coat that is passed down, and transformed, through the generations. 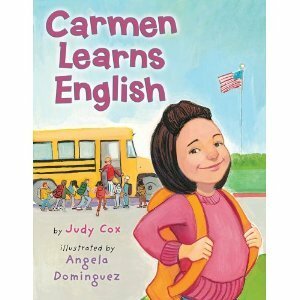 The story of young Carmen, who’s just moved to America from Mexico and starts a brand-new school with “So many kids! 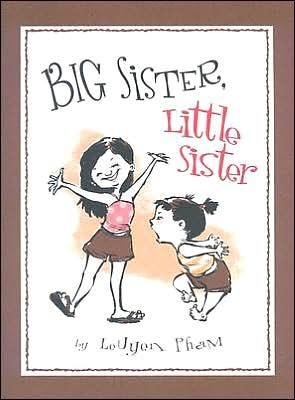 And no one spoke Spanish.” Carmen says, “They talked muy fast and I did not understand.” This lesser-known book is full of all kinds of gems — modeling sibling hierarchy, soft hearts, and strong adult attachments. Link to my full review here. 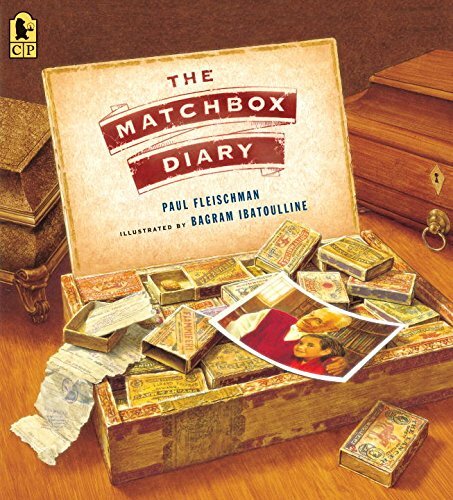 A grandpa recounts to his grandchild his life stories as an Italian-American immigrant, through the sharing of various sentimental items he has stored in matchboxes. 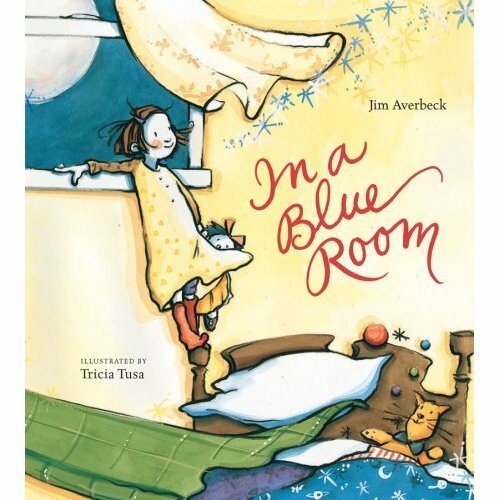 Touches on themes of grandparent-child relationships, hierarchy, caring adults, and resiliency. 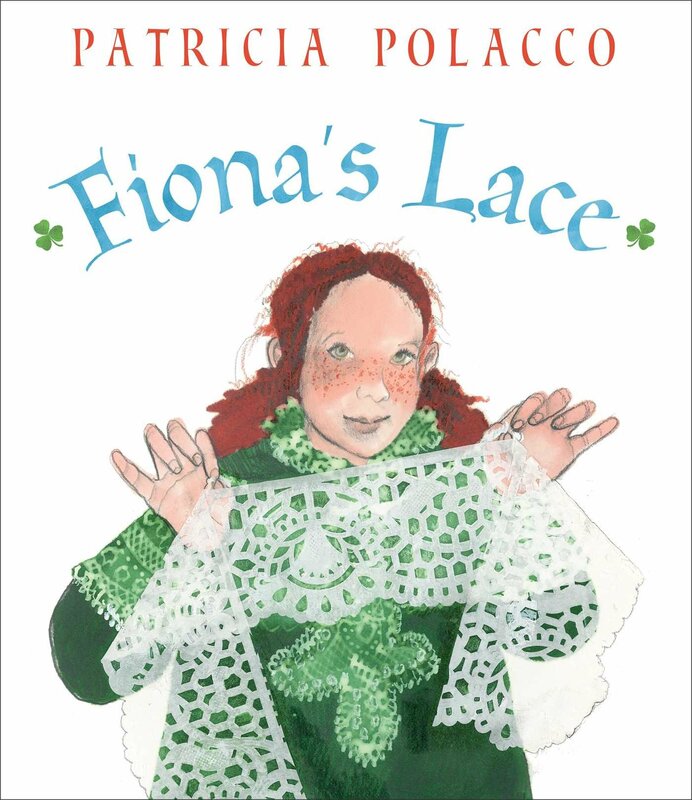 A strong attachment village is portrayed in this story that uses the metaphor of lace to portray generations connected together, as well as the Irish immigrant experience. 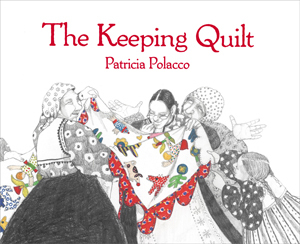 Family heirlooms and traditions – inter-generational attachments and belonging in the story of a Russian family moving to New York. 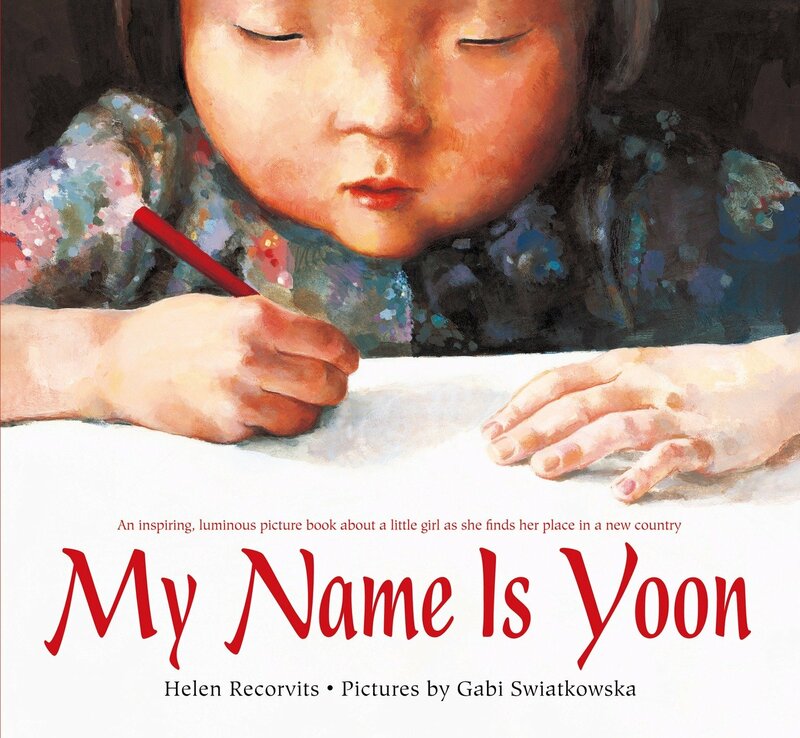 A young Korean girl adapts to her move to another country, and in the process finds herself. 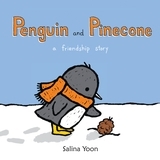 Sign up below to receive the latest Book Bonding reviews by email. 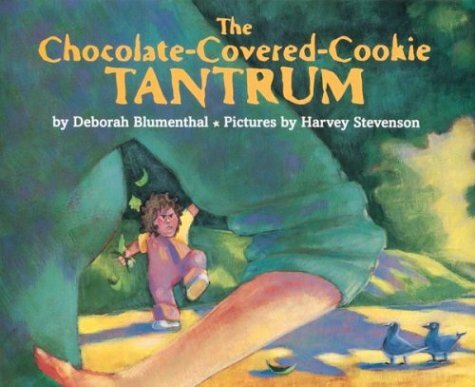 Parenting Articles by Deborah MacNamara, Ph.D.